In the future, crime, unemployment and homelessness in America are at an all time low, thanks to one night a year where all crime is made legal. That's the concept behind The Purge, a low-budget action-horror that came out of nowhere to become a surprise hit in 2013. The Purge: Anarchy, out this week, picks up the action one year later – we talked to producer Jason Blum, of Blumhouse Productions, to discuss The Purge: Anarchy, micro-budget features and the proliferation of sequels and remakes in Hollywood. Tell us where The Purge: Anarchy sits in relation to The Purge. The Purge: Anarchy takes place the following year – the original was five years after the Purge started, so this movie is six years after the law of the Purge has been in effect. The first movie is primarily inside a house and was kind of a home invasion movie; when we screened it, a lot of people were like, ‘I feel like I was cheated, I got to see it through video screens but I never got to actually see the Purge’, so the second movie takes place 90% outside, in the streets, and it’s the Purge up close. Oh great! Isn’t that cool? Well the New Founding Fathers have made a big mistake there cause it’s 21 March, which is the first day of spring, and the director's [James DeMonaco] sister’s birthday. Glad we got that cleared up. There’s a fair few people involved with the film – James, Carmen Ejogo and Kiele Sanchez – who have mentioned that the film offers a commentary on gun violence. Would you agree there's an element of that? Yeah, that was one of the social messages that we smuggled into our scary movie – the fact that America has a distinct, bizarre relationship to firearms and we’re hopefully going to draw attention to it. If it keeps going the way it’s going... this would be a cautionary tale for why to try and have it shift course. Has there been a negative reaction from the pro-gun camp? Without giving too much away, The Purge: Anarchy seems to focus more on the NFFA and the true purpose of the Purge – is it fair to say the films are moving in that direction? Yeah I think you can guess that much. The Purge, I always say this, it’s an amazing idea for a movie, not a good idea for society [laughs]. You’ve made your name with what IMDB described as 'micro-budget' features – how would you say that impacts a filmmaker's creativity? I think it makes it... it’s the whole reason I do micro-budget, is for filmmakers' creativity. By keeping budgets low, we have total creative freedom, we get to do whatever we want to do and we pass that on to our directors. So the system that we have is very European in that most of our directors have final cut, they’re really the single voice making all the decisions. They’re the authors of the movie. James DeMonaco is the author of both Purge movies 100%. The thing that’s not European is that we’re not making independent movies – we’re making commercial movies. So I would say we’re making movies destined for the Cineplex, not Sundance, with an auteur method; we’re kind of combining, in my mind, the best of Hollywood and the best of independent filmmaking. 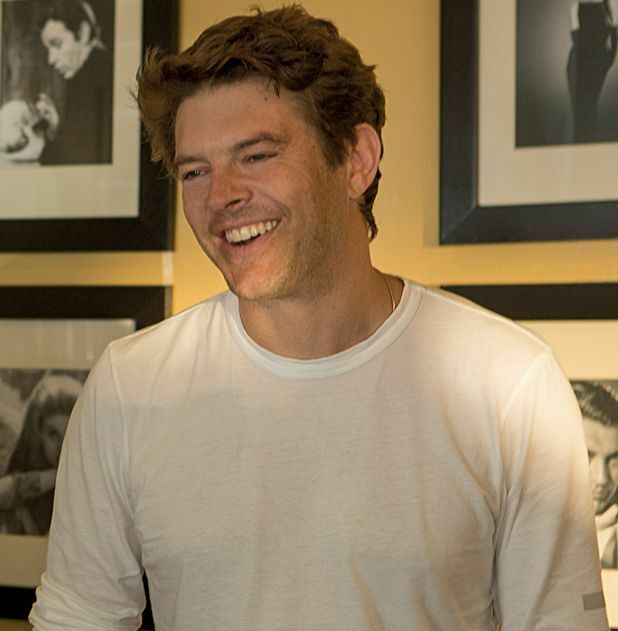 It seems like, especially with Blumhouse projects, it’s a model particularly well served by the horror genre – why do you think that is? It’s best served by the horror genre, I totally agree with you, and I think it's because, inherently, horror movies are scariest when they take place inside a house, which is the safest area which we all inhabit – our home or our apartment is where we feel safe, so being threatened in that area is the scariest. There’s also not many speaking parts – it’s usually a couple, or a mum and a dad and two kids, a family and not many more than that. The key to making low budget films – three keys to making- no, the four keys to making low budget movies – the first is no-one gets paid up front so we don’t take a fee and the directors take the minimum we’re allowed to pay; the second is not too many locations; the third is not too many speaking parts; and the fourth one, the very important one, is a very short script. We don’t shoot movies where the script is longer than 92 pages. Oh good, I’m ready! I’d heard the press was going to be really tough but so far I’ve got a lot of softballs so I’m ready! You’ve built a lot of success on making lots of franchises and sequels to your movies [Insidious and Paranormal Activity are both Blumhouse productions] – how would you respond to people who say that an overreliance on franchises and remakes indicates a lack of creativity and new ideas in Hollywood in general? I would respond that, if that was all I did, I would agree with them wholeheartedly, but about a quarter to a third of the movies we do are sequels, and the other 50–60–70% are originals, and even if it moved to half and half... I find that, for me, I always think parameters really help with the creative process. We have budget parameters for all of our movies, and then in sequels we not only have budget but we have time. When we finished The Purge, we immediately set the release date for the second movie – you have 12 months to go from nothing to a movie on the screen, and for me I actually find that liberating in a lot of ways: you can’t be precious about your decision-making, you have to kind of be fluid and I think that’s great for creativity. Also – I have a lot to say about this – I also love making sequels because of exactly that: people are very cynical about them, so people come in with very low expectations, and in fact, of the five Paranormal Activities we’ve made, I think the best one was the third one, and anyone who's seen all five of the movies really, from start to finish, would probably agree with me. So I think it’s a really... I just strongly disagree that sequels shouldn’t be a part of the movie business but I absolutely agree, if all I’m ever making is sequels, I should look for work elsewhere, because that would be bad. That’s actually a pretty decent answer. Thanks very much for your time.